Infinite Flow’s professional dance troupe is comprised of talented differently abled dancers and dance influencers who are breaking stereotypes and redefining dance. Infinite Flow pro dancers are not only dancers, they are mentors, instructors, and role models. 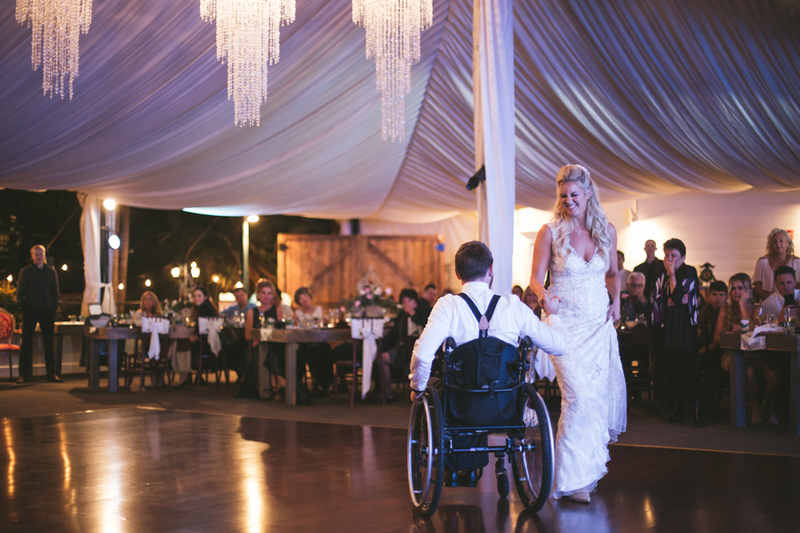 Whether it’s a wheelchair ballroom dance duo, a differently abled hip hop dance crew, or an ASL interpretive dance work, we will customize our repertory to match the goals of your event, film, or video and deliver an unforgettable innovative dance performance, leaving your audience and viewers inspired to push their own boundaries and think outside the box. Event entertainment clients include Apple, Red Bull, Porsche, Kaiser Permanente, 29 Rooms, No Barriers Summit, UCLA, among many others. TV/Film/Video credits include NBC Today, Refinery 29, Tommy Hilfiger Tommy Adaptive, Red Bull, among others. See Partners & Collaborators for a list of appearances. See Videos for sample videos. Whether it be for your corporation, school, or organization, we are open to discussing collaborations and partnerships to raise awareness and build a more inclusive, accessible, and equitable work environment. We can also help you diversify your target audience and customer profile. Infinite Flow Founder & Artistic Director Marisa Hamamoto specializes in choreographing for and teaching differently abled dancers. Whether she choreographs herself or assists and guides a choreographer who is working with a differently abled dancer (or dancers), she is an expert at making dance work for ANY BODY at ANY ABILITY & ANY LEVEL. Marisa is also has a gift to getting non-dancers who have zero to little dance background to dance and perform. Infinite Flow pro dancers each have there own specialty in choreography, whether it be solo wheelchair dance choreography, ASL choreography, or interpretive dance choreography. Whether it be for TV/Film scene or stage performance involving differently abled dancers, a wheelchair first dance, or a promo video for a rehabilitation hospital or disability service organization, we can help you take your idea from concept to completion. See Videos for sample work. Whether you are preparing for a wedding, special occasion, show, competition, or just wanting to get comfortable social dancing, we are available for hire for private instruction, coaching, and choreography customized to your needs. We welcome dancers of all levels and abilities. We specialize in working with dancers of different abilities. We are also available to lead a short dance session or dance workshop proceeding dance performances and speaking engagements. Getting married? And need help with your first dance? We got you covered. We are experts at choreography and and instruction for mixed ability couples. We work with ANY BODY at ANY ABILITY & ANY LEVEL. Contact us to get the conversation started. Infinite Flow Founder & Artistic Director Marisa Hamamoto and Infinite Flow dancers each have stories of overcoming adversity and triumphing over them, and are open to sharing their journey and what they have learned along the way. In addition to inspirational speaking, topics we have covered include Diversity & Inclusion, Taking Action, Demystifying Disability, Anti-Bullying, and Body Positive. Infinite Flow professional dancers are available for school assemblies, teaching kids and youth to accept and celebrate difference, thrive through challenges, and give back to the community. Infinite Flow Kids is an inclusive kids dance company, where kids with and without disabilities dance and grow together, cultivating young leaders and dancers, and shaping a new generation where inclusion is the new reality. Infinite Flow Kids are also available to perform at events, fairs, and videos. NOTE: The members of Infinite Flow Kids are not professional dancers and are not paid. However, there is considerable resources that go into running this program, including instructor and choreographer fees, studio rental, and administrative hours, and there will be at least 1 professional dance leader onsite for events and shoots, thus we do ask for a donation when booking the group.